In the article, I wrote about how I found it hard to find good croissants when I first arrived in Australia almost 10 years ago, but that the increasing number of artisan bakeries has made my quest for quality croissants much easier these days! – Love: you really need to love croissants to spend so much time and care into making them! 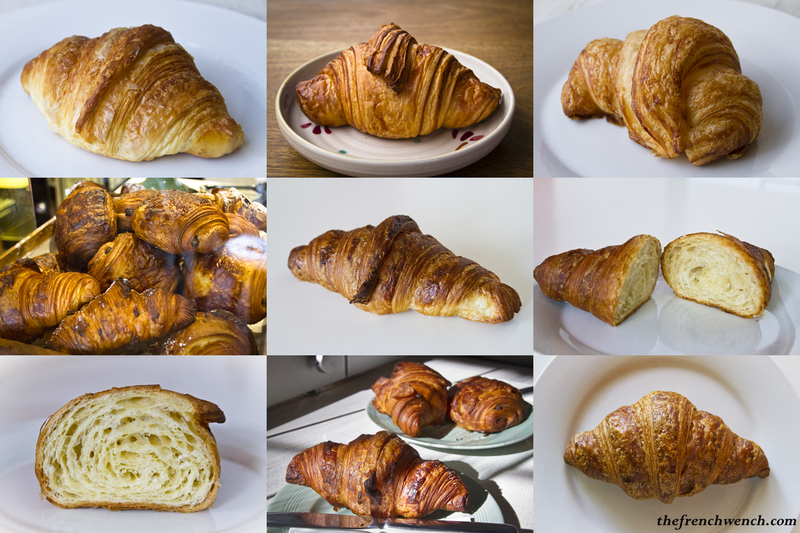 I am sure there is more out there in terms of good quality croissants, as I haven’t ventured much further than inner-city Sydney and Balmain-Rozelle, and that is why the article was more meant to reflect my personal experience, as opposed to an exhaustive list. Nicely coloured (some would even say a bit too cooked) and buttery, Bourke Street Bakery croissants are up there with the best. Apparently their Almond Croissants are a big seller too! 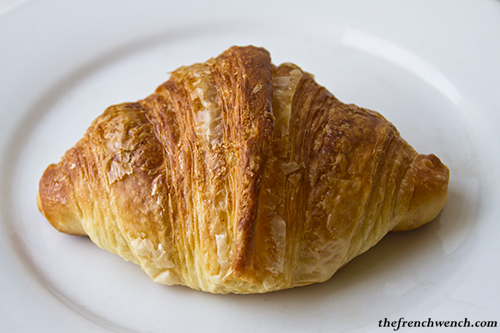 In addition to high quality artisan breads, Chippendale bakery Brickfields sells lovely croissants. Their Ham & Cheese croissants seem to be particularly popular. Just get up early if you want to get your hands on them! Brioche in Balmain is an organic artisan bakery and also offers gluten-free & dairy-free pastries. They sell sourdough croissants, and the one I bought was very good, even though the crust suffered a bit on the trip home, so it doesn’t look as pretty and glossy as the others on this picture. You can also find excellent baguettes at Brioche. 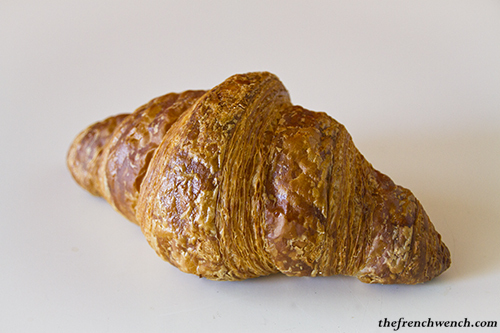 Flour & Stone‘s croissant was the most buttery and moist of the list, while beautifully crisp. Do yourself a favour and try their “Pains au Chocolat”, which are generously filled with three sticks of Valrhôna, one of the best chocolates around. Victoire‘s croissant might not have been as regularly shaped as the others, but it was buttery, light and airy: a fine croissant indeed! 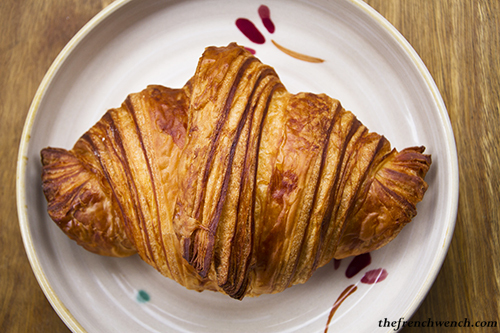 –> What about you guys, where have you found the best croissants so far? Please share your tips! 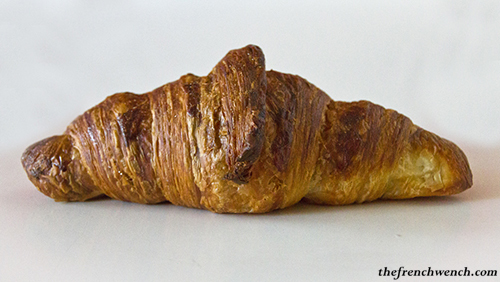 This entry was posted in French Specialties, Restaurants and tagged Croissants, Pastries, pastry, The Guardian. Bookmark the permalink. i love love love love love the croissants at flour and stone! i just picked one up for breakfast (as i regularly do) this morning. straight out from the oven, it went from oven -> my hands. toasty, crisp and so so so good! I got so much respect for bakers! and making amazing croissants is difficult. Thanks for sacrificing yourself for the greater good of croissants hahaha love this review! Has anyone tried the croissants at “Organic Bread Bar” in Paddington? Here in Oceansde, Ca United States. Petite Madeline Bakery. Chef was trained other Alice Waters of Chez Pannise. They take 4 days to make their Croissants. My favorite Feta and Spinach. Croissants were a big hit and miss for us in Paris recently. The best we had, by far, were in a small eatery down the road from where we were staying called Pub Montmarte – 11 Rue Joesph de Maistre, Montmarte. Big, buttery and crisp outside. I’ve now developed a bit of a taste for them — though wasn’t much of a croissant eater before — so i’ll be trying out some of your recommended places. Thanks! hey sandr – i have tried the ones at organic bread bar. it has a more bready texture. Thanks frenchwench: For CBD people, Delisse in Martin Place (below channel 7). 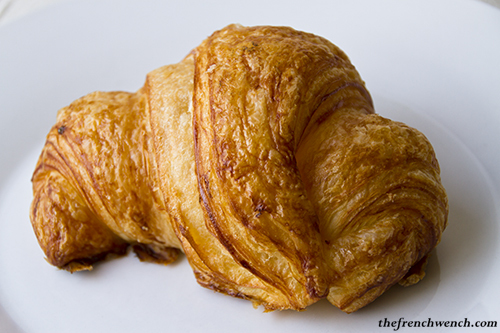 Freshly baked French style croissant: crispy and buttery. Very very good. 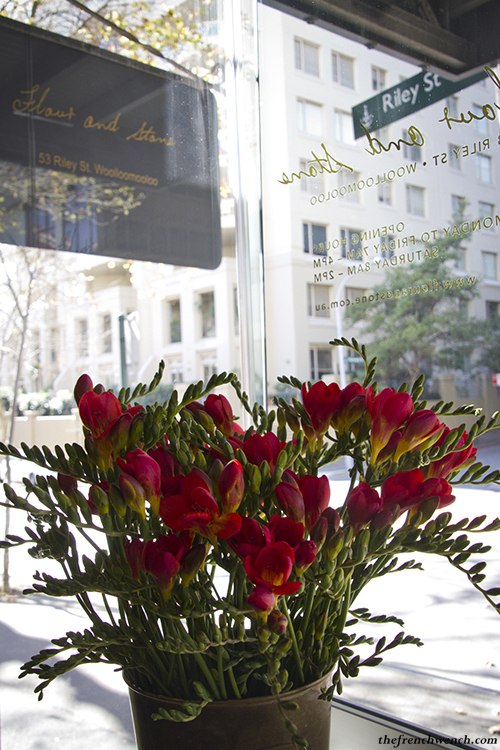 La Boulangerie, Pacific Square, 737 Anzac Parade, Maroubra. Well that’s good news! Thank you for letting us know. The Flour and Stone croissants look huge! Pity I live too far from the city to get decent croissant. Most of the ones I have had in Sydney were average or disapointed. The best one I had was at St Honore bakery in Mosman. Do you know if they use butter or margerine in croissants in Australia? I’m very keen to know. Most of the artisan bakers use butter. I tend to avoid the other places, so I don’t know! best croissant in sydney is at penny fours in leichhardt, they are so good! I love the croissants at Victoire! Mmmmm croissants from Victoire are among my favourite, just add a little home made apricot jam. A heavenly start to any day. Thank you for visiting the blog! Sounds like the perfect way to start the day! Have you tried the ones from Labancz, further down the road? Very nice as well! 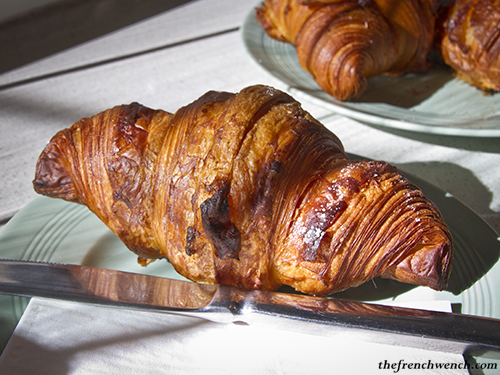 I had the best croissants and chocolate-croissants at le PARISIEN in Killarney Heights (near Frenchs Forest ). The coffee is also excellent. Hi Mia, I tasted a chocolate croissant from them (all plain croissants had sold out when I got there) and it was very nice. Have to plan another visit soon! C’est Bon and Labancz in Rozelle, choco cannelle in Ryde are my three best. I refuse to shop at Victoire because of the attitude and the prices. Thank you Jean-Marie. 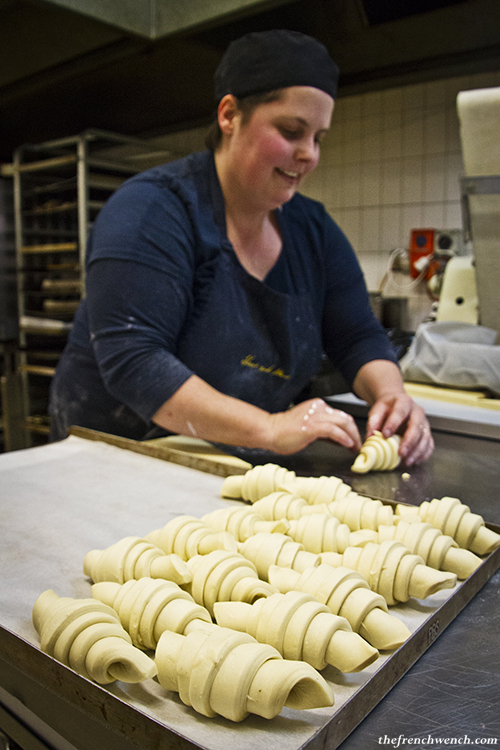 I’ve tasted the croissants at Labancz and they were indeed delicious! C’est Bon is a great patisserie too. I’ve also had their lemon tart in the past, but I really need to visit again soon!